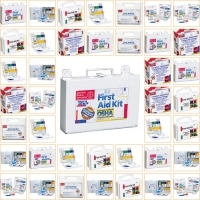 Texas America Safety Company now offers a complete line of first aid products. We carry first aid kits, CPR products, first aid medicinals, refills, and all sorts of bandgages, compresses, tablets and so forth. Don't be caught off guard. Please choose the first aid category you are interested in below. 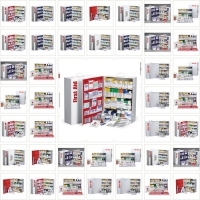 We understand the importance of safety, so we stock a large selection of first aid products. If you need a reliable way to dispense fabric bandages, absorbent gauze compress and many small safety products, consider our ANSI first aid stations. You can mount these stations to the wall or leave them freestanding. We carry several industrial stations, which have two to five shelves. We also have breathing products. Our Oxygenpac products are lightweight and can deliver emergency oxygen. These products make it possible to deliver oxygen to breathing victims, or they can be used for continued oxygen treatment have successful defibrillation has been performed. A burn is a serious injury, but since we carry several burn care first aid products, you’ll know exactly what to do after getting burned. 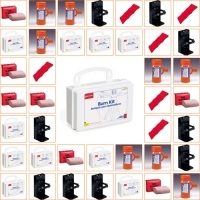 Our selection of burn care products contains fire retardant blankets, collapsible foldup stretchers and burn kits. For additional safety, we carry bloodbourne pathogen kits. Choose from a 25 or 31-piece kit. 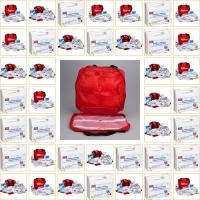 You might also want to browse our inventory of CPR face shield kits. Since these products are small, you can easily store them inside a purse or glove compartment. Our first responder kits contain a wide range of first aid products, and since they’re portable, you can use them anywhere. 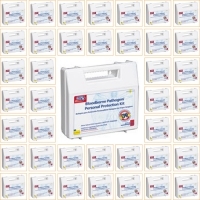 We also stock industrial first aid kits and OSHA first aid kits. 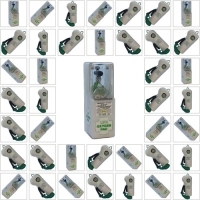 Our OSHA kits meet or exceed regulations and can have up to 105 pieces. 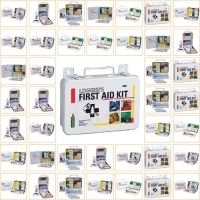 To fulfil the needs of specific industries, we carry special industrial first aid kits.